There are 65 days; 5,616,000 seconds; 93,600 minutes; 1560 hours and 9(ish) weeks until International Glamping Weekend. Trish Martin, our Australian glamper-ific girlfriend down-under is, and she’s taking International Glamping Weekend to the next level. Below is an article posted on AdelaideNow about her Glamper Gals event. 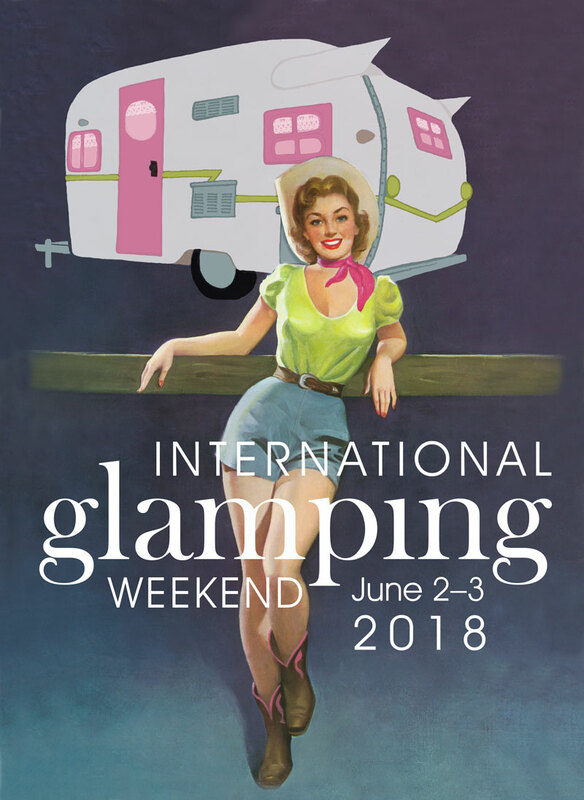 Trish was one of the first to list her event with us on our International Glamping Weekend ‘gatherings’ page last year, and again, this year. Now with 500 members, she’s taking Australia by storm! 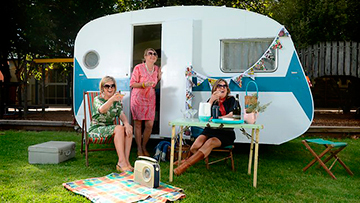 Jen Weeks, Mardi Zeunert, and Mel Ward are on the glamping bandwagon, pictured with Mardi’s vintage caravan, “Flossie.” Picture: Naomi Jellicoe. Courtesy of AdelaideNow. GIRLS are swapping swags for swish caravans in a glamorous camping craze sweeping across Australia. “Glamping” is a term embraced by members of Facebook group Glamper Gals—an online holiday sisterhood created by Victoria’s Trish Martin. Ms. Martin, 36, stumbled upon glamping (glamorous camping) while researching how to restore and renovate her caravan. The group was a hit nationwide, with ladies swapping renovation and glamorous camping tips and planning meet-ups, otherwise known as glampouts. “We felt a need for a group for women to be able to travel safely without partners and kids,” she said. “The trips cater for mums, widows, divorcees and single women. The group boasts 500 members from across Australia, ranging from 18 to 70 years old. Ladies without a van are welcome to join, and those with one take great pleasure in naming and decorating them. On June 1, the group celebrates its first anniversary with a trip to Halls Gap in Victoria, to coincide with International Glamping Weekend. Have Glamper will travel! I love it that the glamping “fever” has jumped over the big pond to Australia. From the photos and stories on the Connection, glamping has provided the opportunity for so many women to express their creativity, make new friends, see new places, and bask in the peace of friendship in beautiful places! Wonderful!